Up close, the lights blink in an uncoordinated way -- they’re a constellation of bright pinpoints without much meaning. The piece only starts to reveal itself when the viewer takes several steps away from it, becoming first a synchronized wave of moving lights, then resolving into human figures swimming in space. The piece, titled “Jane’s Pool,” is one of several artworks on display at artist Jim Campbell’s fabrication studio in San Francisco. Made with hundreds of LED lights soldered to a circuit board that controls when the lights pulse and dim, “Jane’s Pool” plays with perception and motion. For all their high-tech presentation, the imagery is actually very low-resolution. Instead of the millions of pixels we’re accustomed to seeing in a single frame of high-definition television, Campbell’s works contain only a few hundred points of light. It’s the overall change in the lights, when viewed from the right distance, that translates into moving images of children playing or men and women walking. 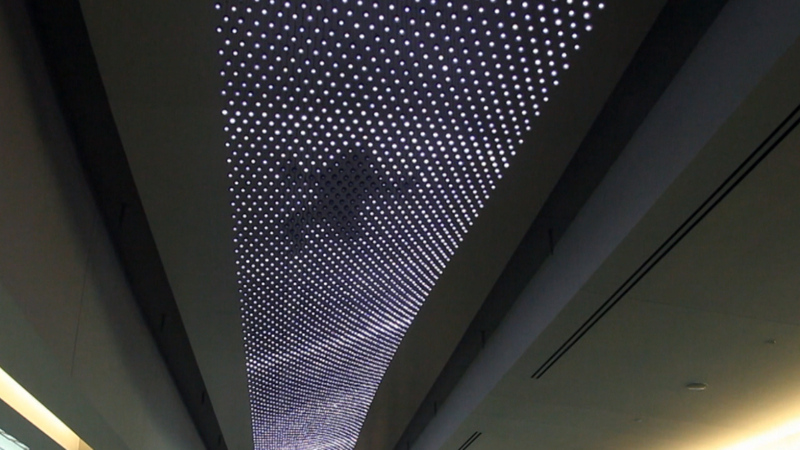 This still image of an installation at the San Diego airport shows part of a strip of thousands of suspended lights. Watch the video above to see the lights in motion. Or go to see the artworks in person. 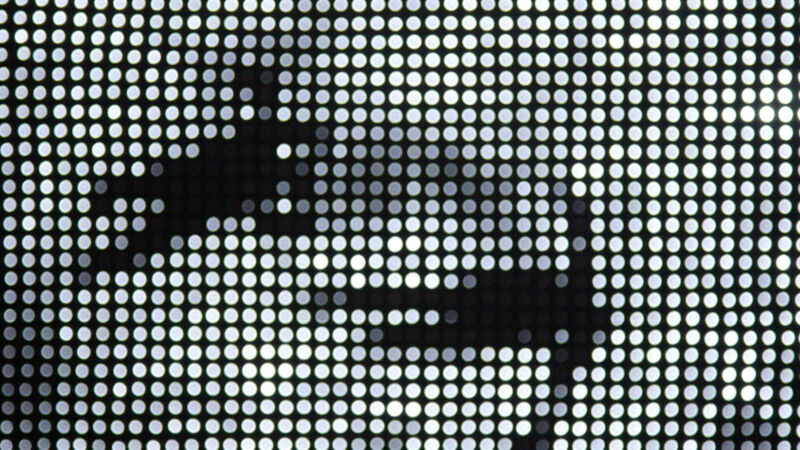 JIM CAMPBELL: New Work and Collaborations opens at the San Jose Institute of Contemporary Art opens on Sunday, Nov. 15, 2015 and runs through Feb. 13, 2016.